Hello everyone! These lipsticks have finally popped up in Canada which is extremely exciting. I didn’t need anymore lipsticks but I had to pick some up from this line after all it smells like watermelon! 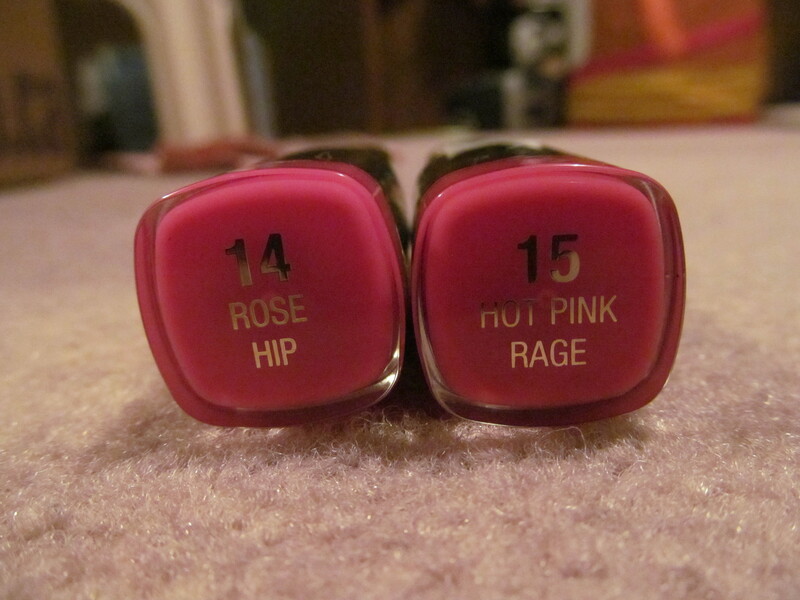 Description: Rose Hip is a bright bubblegum midtone pink cream, Hot Pink Rage a midtone watermelon red-pink cream. 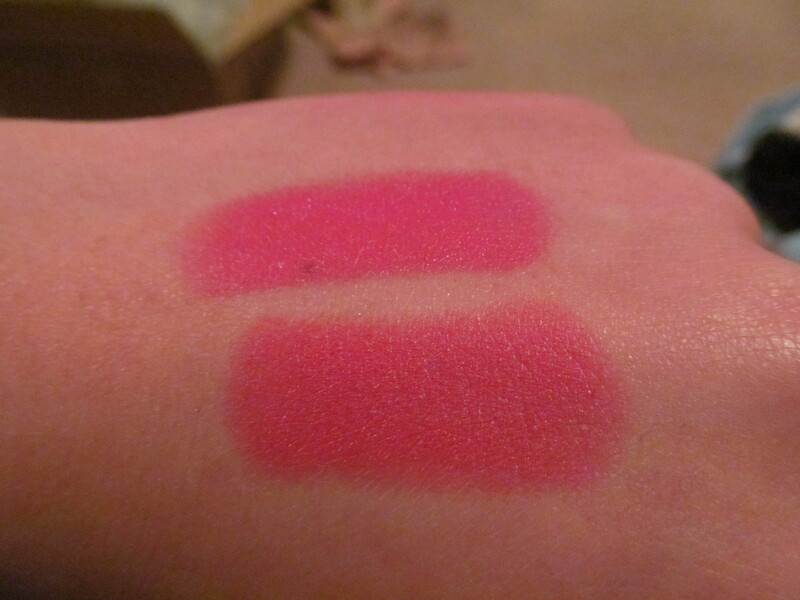 Review: Both of these shades are cream finishes which is my preferred finish in lipsticks. The both glide on very smoothly and stay on for 3-4 hours without touching up; 2-3 hours with eating and drinking. These leave a stain behind once the lipstick fades and the stain did last for a full 8 hours. For those who are sensitive to scents these are watermelon scented and it can sometimes be overpowering. As you can tell from the swatches they are extremely pigmented crazy pigmented. These glide on smoothly over the lips (if you have lipbalm over them) and doesn’t look patchy at all. 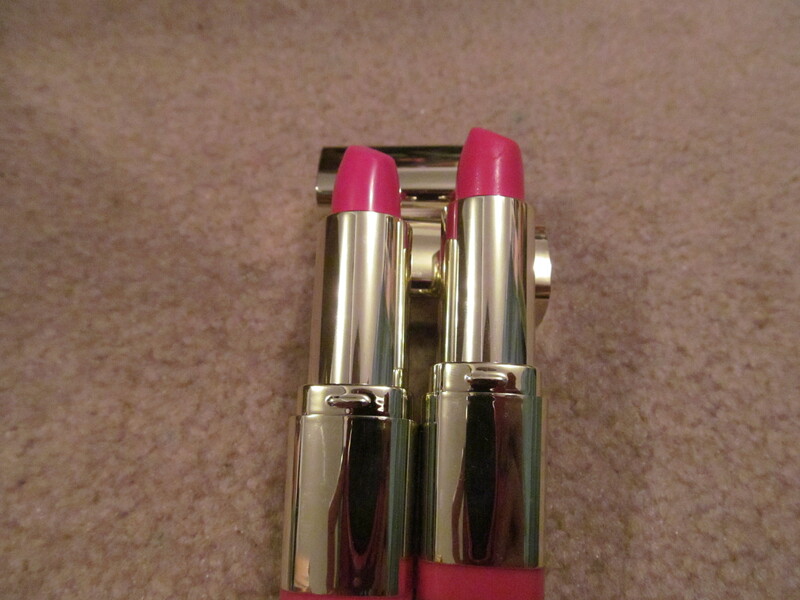 Overall, great lipsticks for the price and the pigmentation and shades are to die for! Would I recommend this product? Yes, these are great lipsticks it’s just sad that they aren’t readily available. 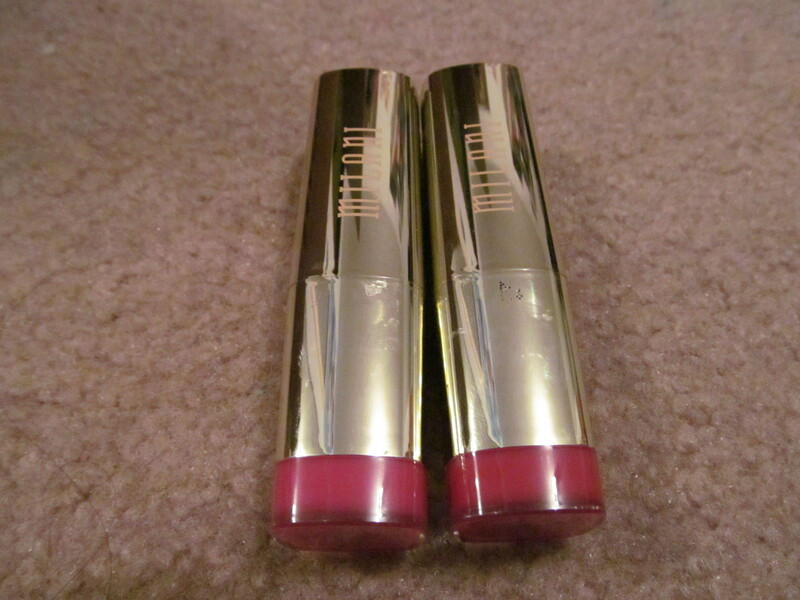 I’ve heard some really great things about these Milani Lipsticks. Perhaps I’ll have to give them a try. I love how pigmented and affordable they are! Thanks for your post.